"India's Best Recharge, Bill & Utility Payment Aggregator"
Prepaid Recharge, Bill Payments, Money Transfer, Flight Booking & Developer API. IMwalleT (Virtual Wallet Systems Private Limited) is a fastest growing Telecom Aggregator in India providing B2B business through its Retail & Distributor Channel Partner network. With its outstanding service quality & unmatched support you can Recharge, Pay Electricity or Postpaid or Landline Bills, Transfer Money to any Bank in a fraction of seconds. IMwalleT currently having more than 160 Business Partners & more than 1000 Channel Partners having retail network of 50,000+ serving smiles over 50,00,000 customers across rural & urban India. IMwalleT supports #DigitalPayments #CashLessIndia initiative by Indian government. IMwalleT was officially established on 2017 solely owned by Virtual Wallet Systems Private Limited, a very strong background of Telecom & fin-tech Business. The Idea was to provide a one stop solutions for retail network with wide range of telecom & fin-tech services. The natural progression was to link banks, Utility billers and Mobile Operators, thereby empowering consumers to manage their finances, make payments, or remit money directly from their mobile, anytime, anywhere. The management team has very enthusiastic, talented & deep knowledge in telecom & fin-tech industry. IMwalleT is Fast, Reliable & Secure payment processing platform in India. Under this platform, IMwalleT gives All major & maximum mobile operator recharges including postpaid bills, Utility payments like Electricity Bills, Insurance Bills, Landline Bills & other services in single window. It also offers Domestic Money Remittance services, so you can transfer money to your friends & family instantly. Approx 10,00,000 Recharge & Bill Payments transactions process in a year through 50,000 active retail counter. IMwalleT (Virtual Wallet Systems Private Limited) is a fastest growing Telecom Aggregator in India providing B2B business through its Retail & Distributor Channel Partner network. With its outstanding service quality & unmatched support you can Recharge, Pay Electricity or Postpaid or Landline Bills, Transfer Money to any Bank in a fraction of seconds. Welcome to Virtual Wallet Systems! “Virtual Wallet Systems” in very low investment & time!" We provide all prepaid recharges facility in India. Prepaid recharges included all mobile operators, DTH operators & Data card Operators. We facilitated you with our bill payment services for Postpaid Bills, Landline Bills, Gas Bills, Residence Electricity Bills, Water Bills & Insurance payment as well. With Our Domestic Money Remittance Services, you can send money anywhere in any banks in India. Through IMPS & NEFT services you can make transactions easy secure & convenient. You can also choose our API services to make your own B2B or B2C websites. Our API compatible for all the platforms. With our API help file, you can integrate it easily. We are also coming into the Tours & Travel industry. You can book Domestic flights from our wallet services with cheapest rates very soon. We are planning to provide you Hotel bookings, Holiday Packages, Prepaid Cards, local theater tickets & many more services in near future…. Online Mobile Recharge Service Provider including all major mobile operators and DTH recharge. Become a part of this giant in a really small investment. Start today for a better future. 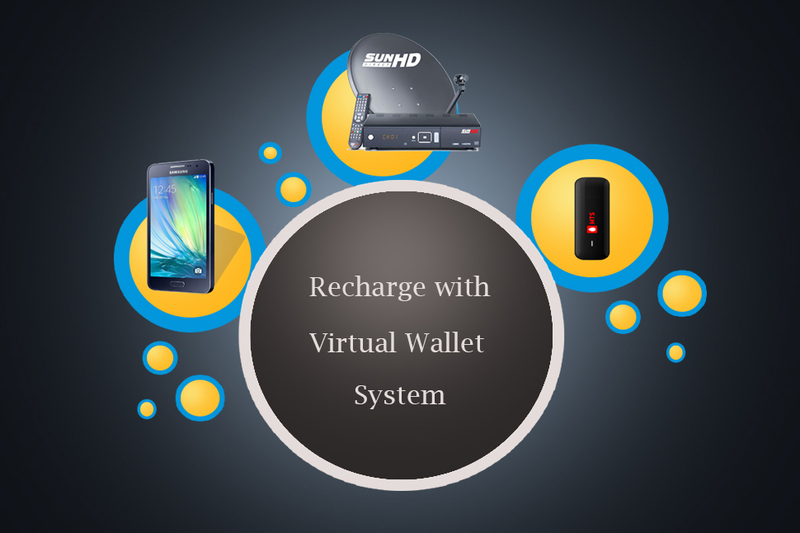 Virtual Wallet Systems Pvt Ltd 2016. All rights reserved.